This American Oystercatcher, haematopus pulliatis, was searching for food in the impoundment at Heislersville, New Jersey. 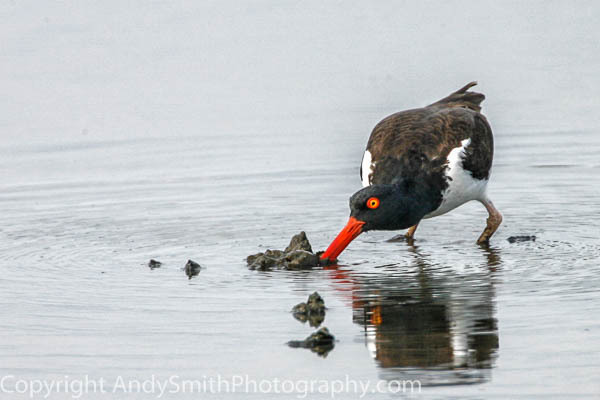 One of the largest shorebirds, a breeding species in New Jersey, oystercatchers specialize in feeding on bivalve mollusks living in saltwater. The Eastern race breeds from Massachusetts south to Mexico. The Pacific coast race breeds from the Baja peninsula south.